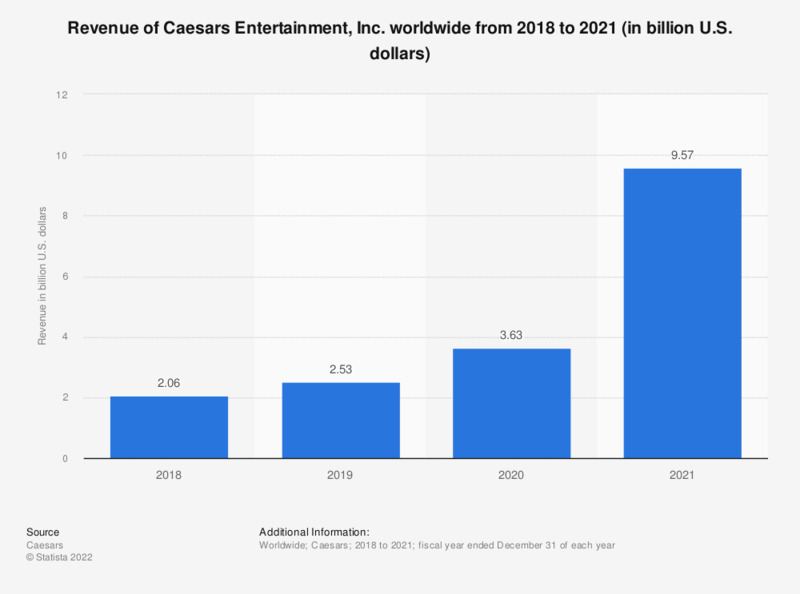 This statistic shows the revenue of Caesars Entertainment worldwide from 2008 to 2017. Caesars generated approximately 4.85 billion U.S. dollars in revenue in 2017. Caesars Entertainment is a Nevada-based gaming and hospitality company operating casinos, hotels and golf courses under several brand names. Figures have been rounded. Figures for 2008 to 2016 come from earlier financial releases. 2015 and 2016 reflect the deconsolidation of Caesars Entertainment Operating Company, Inc (CEOC).